In 1909, William James "Uncle Billy" Cox and Sarah Jane Stone Cox began hosting services at the home of John Briley and Ethel Altman. Ethel was Billy and Sarah's daughter. John Briley was the son of John James Altman, first Postmaster for Vox. 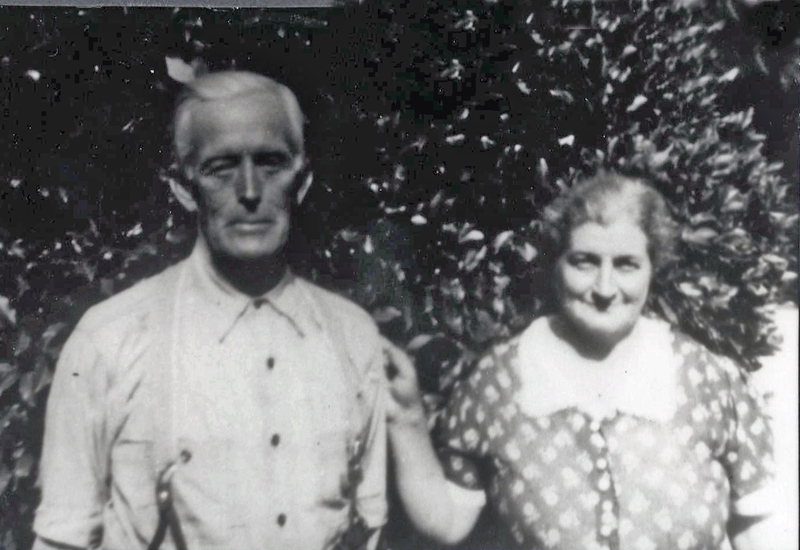 John and Ethel lived in the Vox Community west of Johnsonville, about 4 miles from the church's present location. 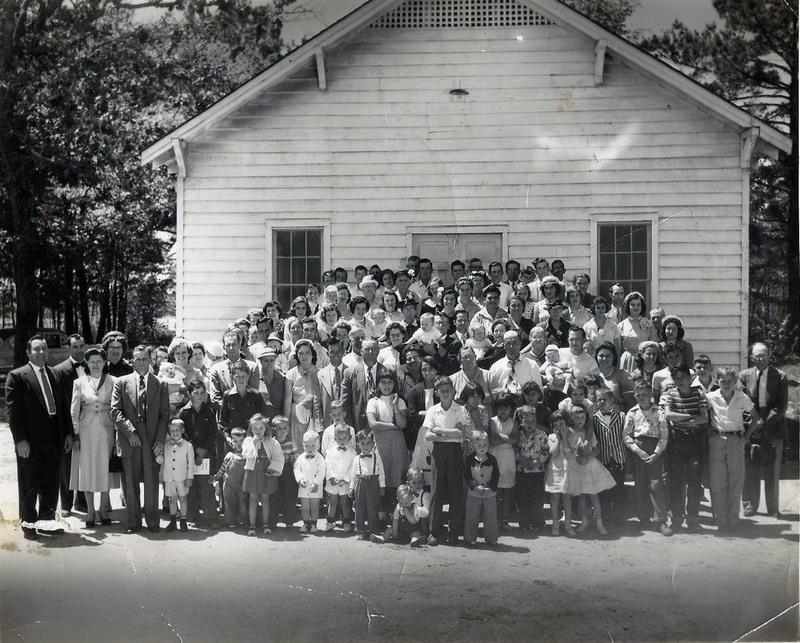 These meetings marked the official beginning of Rehobeth Church. John Briley was the song leader at this time, according to his daughter-in-law, Crosier Altman. He would sit on his front porch and practice the songs he planned to sing for the service. Quarterly reports from 1927 and 1928 show that he was also the church secretary and treasurer. Wilna Poston (Billy's granddaughter) recalls that while "Uncle Billy" was sitting in his favorite chair on the porch swinging, he saw a gird on the porch ledge. He prayed, "Dear Lord, if I'm living a life pleasing in your sight, let that bird light on my head." The bird did just that and Mrs. Poston said she could still hear him singing praises. Descendants remember that Sarah Jane was afraid of horses and prefered to walk rather than using a wagon or buggy. Her husband Billy Cox decided it might be best for her to have a church closer to home. With the help of his son-in-law John Briley Altman and several others, timber was cut from Billy's woods and they built a small church on what is now Cowhead Road. The section of land including the church plot was deeded to Billy's son Fluett Cox, with the arrangement that the church plot would remain Rehobeth as long as the church continued services. 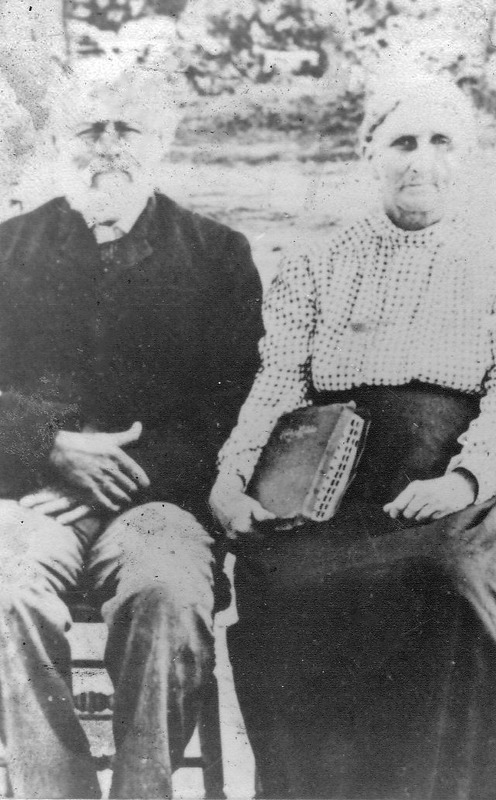 William James "Billy" Cox and Sarah Jane Cox had 10 children: Ethel, Eliza, Shell, Mary Frances, Emily, Fluett, Lillie, Walton, Orella, and Jasper. 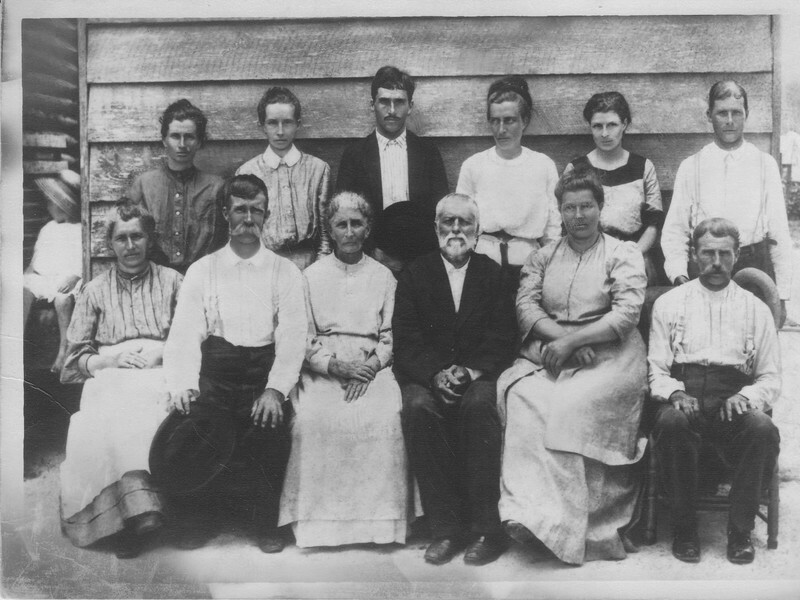 Many descendants of these children still call Rehobeth their home church. According to Mattie Altman Stone (daughter of John Briley and Ethel Altman), men such as O.M. Hilburn, J.J. Carter, H.H. Goffery, and W.S. Forworth would preach in her father's home, a brush harbor and little church. The Church Register of the FBH Pentecostal Church is dated Dec 9, 1908. a note incribed reads, "Presented to the Fire Baptized Holiness Church at Vox, S.C. by John J. Carter of Chadborn, NC." The register book lists the following presumed charter members: William J. Cox, J. Waldon Cox, E. Jasper Cox, Mrs. J. Waldon Cox, Mrs. Ethel Altman, John B. Altman, William F. Blackwell, R. Fluitt Cox, Miss V. J. Thompson, Mrs. Marvin Haselden, Miss Amanda Thompson, W. Shell Cox, Willie P. Haselden, Mrs. Jan Cox, Mrs. E. J. Cox, and Miss E. V. Cox. According to the same register, the deacons in 1929 were John Briley Altman, Luther W. Hardee, Shell W. Cox, and Wilburn Cox as secretary. Information compiled from the Centenial Celebration of Rehobeth booklet and Mary Muckenfuss.